Herbal medicine is a practice in which herbs are combined to provide therapeutic and medicinal benefits. Herbex is a supplement company that specializes in herbal mixes that aid in weight loss. Herbex Slimmers appetite suppressant supplement, called Appetite Control, contains a number of natural ingredients touted to help control hunger. Spirulina, also known as blue green algae, is a type of algae. 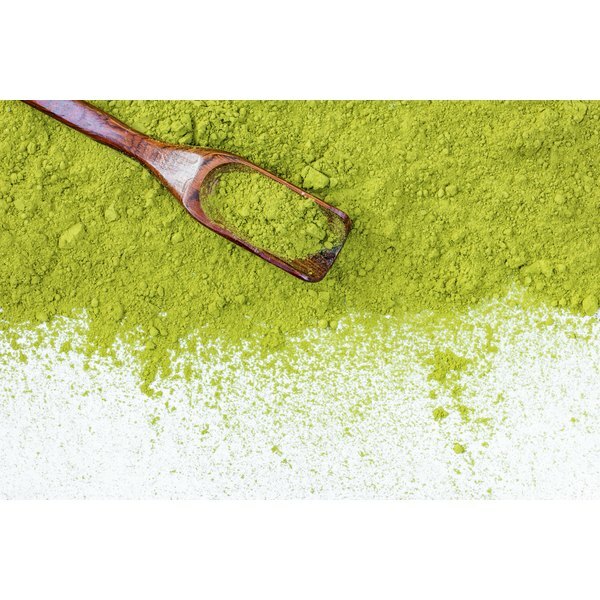 According to Herbex, the L-Phenylalanine in the algae triggers a hormone that helps with hunger control. While spirulina is added to a number of weight loss products, its effectiveness as an aid to weight loss has not been proven, according to the Memorial Sloan-Kettering Cancer Center. Some strains of spirulina contain microcystin, which can cause renal or liver failure. Citrin, also known as Garcinia cambogia, is an herbal supplement that helps promote weight loss by inhibiting an enzyme that breaks down fat into fatty acids, cholesterol and triglycerides, preventing you from absorbing it. In a 2004 review article in the "Journal of Medicine," volunteers following a calorie-controlled diet with regular exercise were supplemented with Garcinia cambogia or a placebo. At the end of the study, both groups lost about the same amount of weight, but no adverse effects were noted in the group taking the supplement. The yerba mate in Herbex Appetite Control provides vitamins, minerals, antioxidants and amino acids. Yerba mate contains caffeine and can act as a stimulant. It has also been shown to delay gastric emptying, which may aid in hunger control. However, more studies are necessary to evaluate its effectiveness as a weight loss aid, according to Memorial Sloan-Kettering Cancer Center. Green tea is also an ingredient in the Herbex Slimmers appetite suppressant. Green tea may help reduce body weight and fat, according to a 2011 review article in The Journal of Nutritional Biochemistry." The polyphenols in the green tea may stimulate your metabolism and help you burn fat. The caffeine may also increase energy expenditure and fat oxidation. The ginger is added to aid in digestion, stimulate circulation and promote energy, according to Herbex Health. Ginger is effective in treating nausea caused by pregnancy or motion sickness. It also slows down gastric emptying, as well as improves intestinal muscle tone and movement. Ginger does not appear to improve circulation or energy, according the Memorial Sloan-Kettering Cancer Center.